Turn your signature beverages into on-the-go refreshments with this Carnival King 12 - 22 oz. clear cold cup flat lid with straw slot for lemonade cup! An integrated straw slot ensures easy sipping and gives your customers access to their drink without needing to pop the top. This added convenience makes any beverage enjoyable - especially an ice cold lemonade or soda! Made of high-quality polypropylene, this lid is both durable and boasts a translucent color that allows customers to catch a glimpse of what's inside. It is even conveniently disposable and can simply be thrown out once guests have finished their beverages. 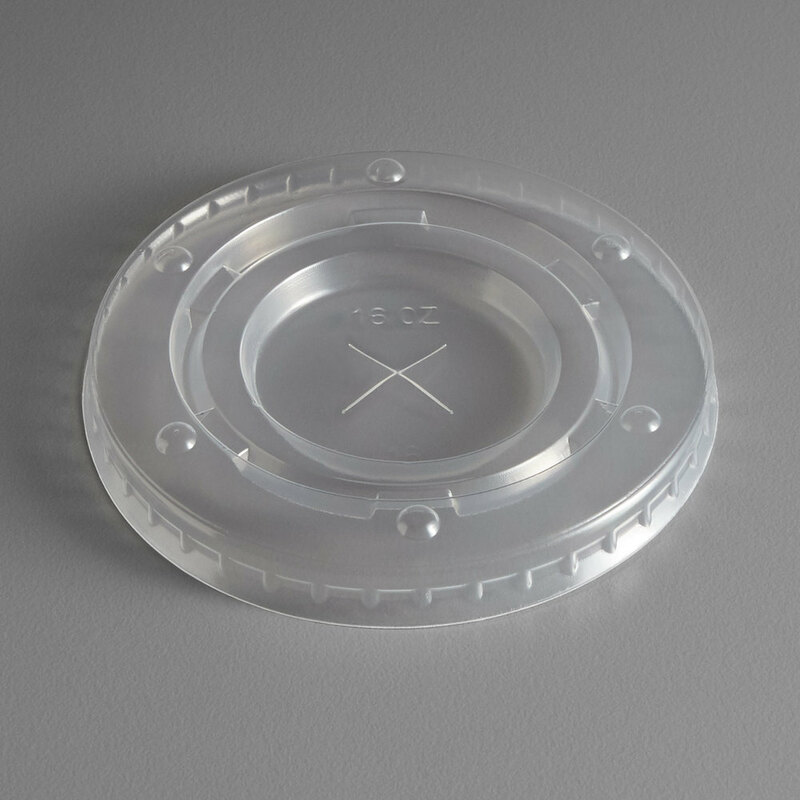 Your customers will love the ability to take home their favorite beverages from your cafe, concession stand, kiosk, convenience store, or fast-food restaurant with this flat plastic lid!